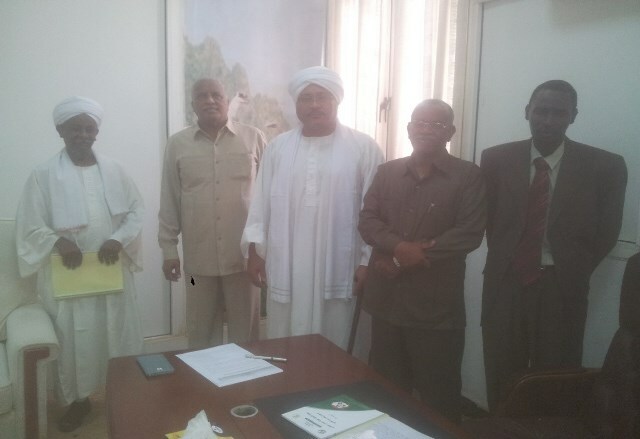 Ibrahim Othman (Abu Khalil) the official spokesman of Hizb ut Tahrir in the Wilayah of Sudan, Brother Khaled Hussein the representative of the Muslim Brotherhood and the members of Hizb ut Tahrir: Hussein Makki, Al-Nadhir Jamaar, Muhammad Al-Amin Dafaar Allah, Majdhoub Abdallah, Ahmad Al-Baahi, Abdalraheem Al-Barii, Abdalaziz Abalraheem and Banqa Hamed. It is a shame on this authority which hypocritically addresses the Muslims with the speech of Islam and fights the call for it, consent to the Kafir West by the freedom of expression and allow it in the constitution and laws and forbid the one who expresses his opinion peacefully; it is the authority of hypocrisy. We say to it – fear Allah and do not fight Allah’s call. It suffices the crimes you have committed against yourself and the rights of the country and the people. Hizb ut Tahrir will continue its call for the resumption of the Islamic way of life by establishing the second Khilafah Rashida (rightly guided Caliphate), without being hurt by the plotters plots nor the betrayal of the conspirators. Tomorrow is a sight for the near – the day the second Khilafah Rashida on the method of the Prophethood will rise and shine upon the earth and avenge the unjust. Next PostThe Capability of the Armed forces of the Muslim lands to Liberate the Ummah!